Asthma is a chronic disease that affects millions of Americans and is one of the most common reasons people seek medical help. Asthma, in fact, causes more than two million visits to the emergency room per year. People will asthma experience inflammation in their airways that makes it difficult to breathe. It affects people of all ages and can worsen with exercise or in combination with allergies. The bad news is asthma is on the rise. Since 1980, the disease has skyrocketed 60 percent in the United States. It’s the leading chronic illness among children in America. The good news is that when carefully monitored through chiropractic care, asthma can be well managed and asthmatics can live active lives that are virtually symptom-free. Asthma is a chronic respiratory condition that affects the airways and can differ greatly from person to person. Symptoms include shortness of breath, wheezing, coughing, and chest tightness. Asthma can range from mild to moderate to severe and can flare up almost daily in people who have severe asthma, or only from time to time in others, not appearing for long periods of time. Doctors don’t know what causes asthma, and so there’s no cure. In a person with asthma, the lining of the airways – or bronchial tubes – can become irritated and swollen, and sometimes produce extra mucus. The muscles that surround the airways then sensitive and begin to tighten, causing the airways to narrow, making it difficult for air to pass in and out of the lungs. Anyone can get asthma, and usually diagnosed during childhood. Asthma attacks are usually caused by triggers that differ from patient to patient. An individual may have allergies that are triggers, such as dust mites, cats, dog, horses, cockroaches, mold, pollen, viral infections and certain air pollutants. Symptom triggers aren’t related to allergies, but they cause twitchy airways. Some common symptom triggers are exercise, smoke, cold air, chemical fumes or other strong-smelling substances such as cologne, food additives, air pollutants, and even strong emotions or stress. Asthma is easier to manage once the patient learns what triggers attacks. Avoidance and management of triggers are key. Asthma attacks differ in severity, ranging from mildly uncomfortable to very frightening. Asthma attacks can even be fatal, particularly in patients with severe asthma. Even mild asthma attacks can limit our enjoyment of life. It’s important to have an action plan for asthma management before an attack occurs, such as avoiding triggers and carrying medication such as an inhaler. If you do experience a severe asthma attack, seek medical help immediately. 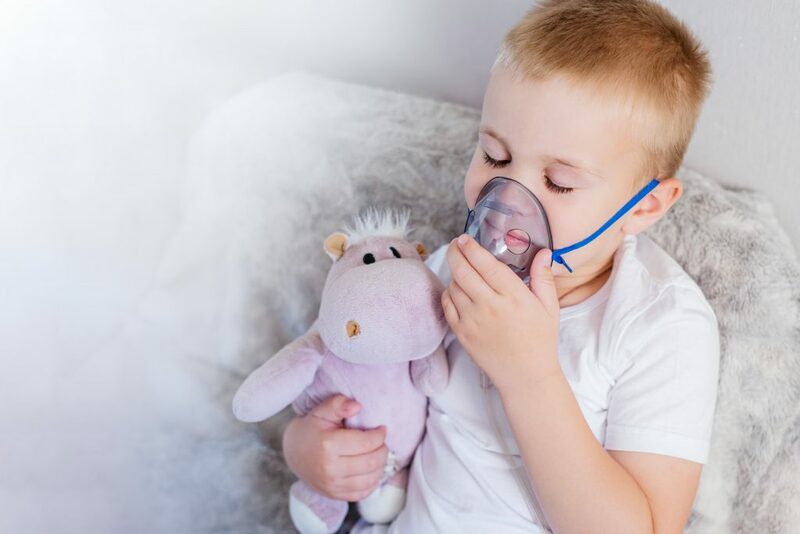 People living with Asthma, whether moderate or severe, can experience other regular symptoms such as difficulty sleeping, fatigue during the day, inability to concentrate, and decreased activity levels. The key to living an active life free of asthma attacks is in the prevention. Chiropractic asthma treatment has proven to reduce symptoms. Your chiropractor will use manual adjustments to correct problems with the musculoskeletal system. When the spine isn’t moving properly or is misaligned, it can inhibit the body’s ability to handle irritants or triggers. Severe asthma treatment focuses particularly on the thoracic spine, in the middle of the back, because the nerves that exit that portion supply the lungs and bronchial tubes.